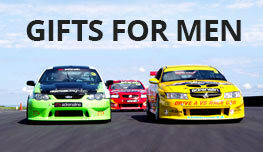 Special Offer - save when 2 people attend this experience together. 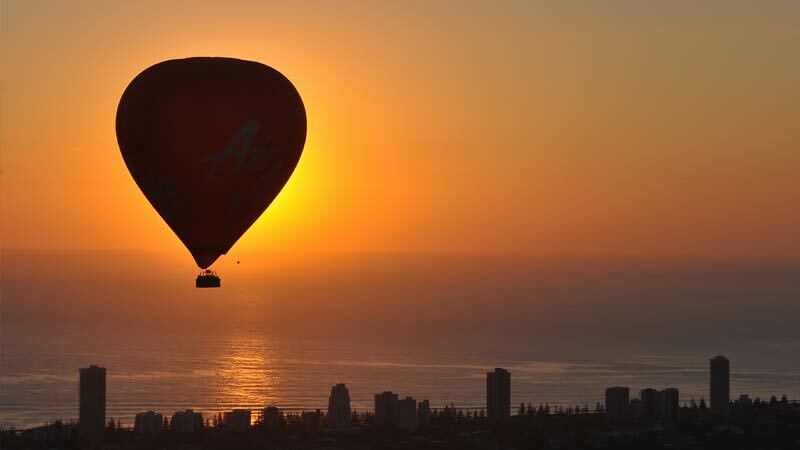 Equally thrilling and relaxing, a hot air balloon adventure is a pure and unforgettable experience – especially over the unique landscape surrounding Surfers Paradise. Depending on the wind direction, your flight will take you over unparalleled views of the spectacular Gold Coast hinterland. 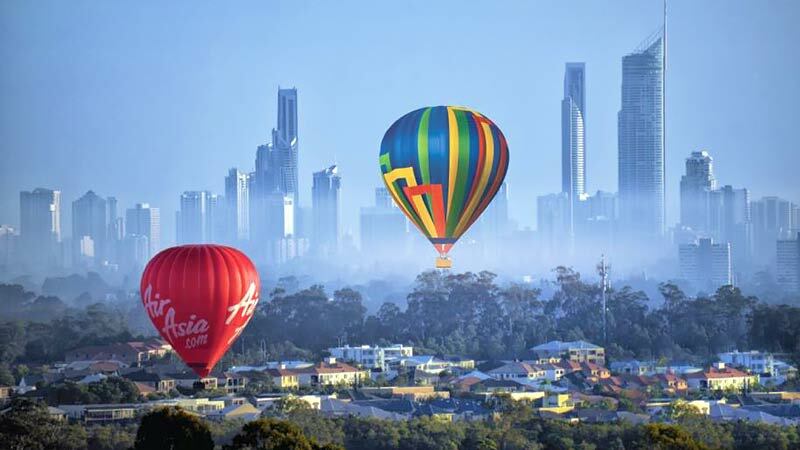 The still morning air makes flying conditions perfect during what is known in the hot-air ballooning industry as the "weather window", a gloriously peaceful time over the canals and waterways of the Gold Coast. The hot air balloon ride begins with a briefing by the pilot before you head to the launch site and, if you like, help prepare the hot-air balloon for flight. Thirty minutes later you'll be drifting gracefully over the countryside. The hot-air ballooning flight itself will last around one hour. After gently touching down again a hot air ballooning flight certificate is distributed to all passengers, rounding off a fabulous adventure. The icing on the cake is a gourmet Champagne breakfast – the perfect way to toast your hot-air ballooning adventure. This is a Hot Air Balloon Flight for 2 people (there will be others in the balloon basket with you). A registration form must be completed by the passengers on the day of the flight. We will require your early morning contact number in case of inclement weather conditions, the pilot will call you to cancel approximately one hour before the meeting time, hopefully avoiding any inconvenience to you the passenger. No shows on the day will not be refunded or rebooked. A professional photographer accompanies each trip, and images of your adventure are available at extra cost payable on the day. Weather conditions can affect the duration and route of balloon flights. 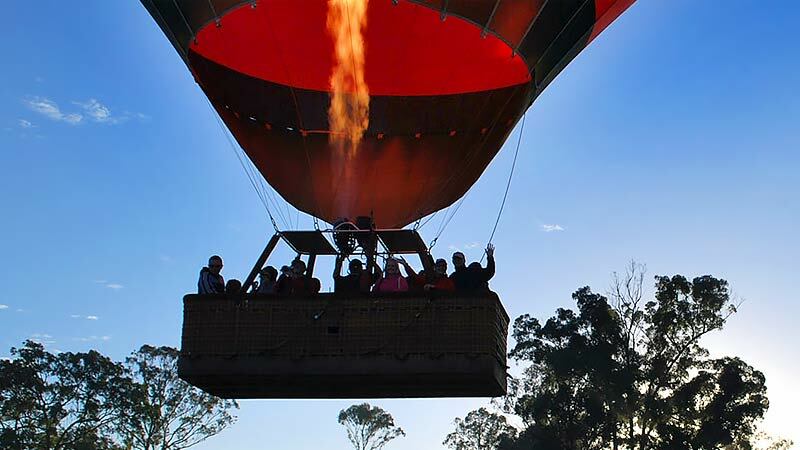 The Balloon operator endeavours to give each passenger the best ballooning experience, subject to the daily wind and weather conditions, with passenger safety always at the forefront of pilot's concern. 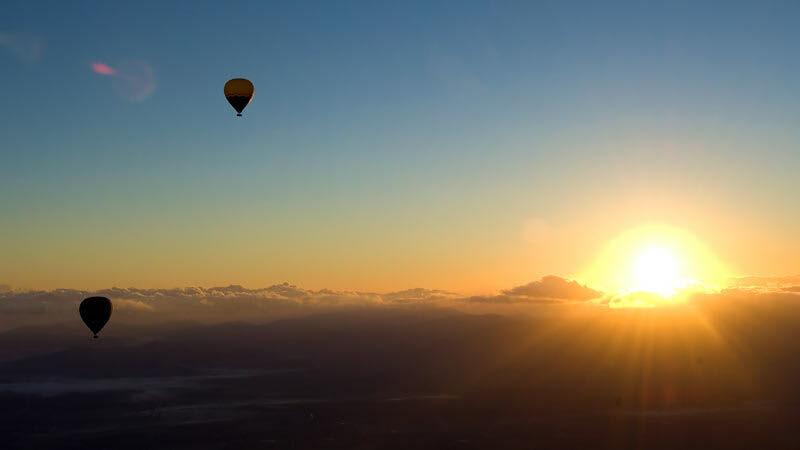 The Balloon operator reserves the right to change the location of the flight if the pilot deems the weather conditions do not allow the flight to be carried out safely in the Gold Coast region. Best option for my husband's birthday present!!! He loved it. 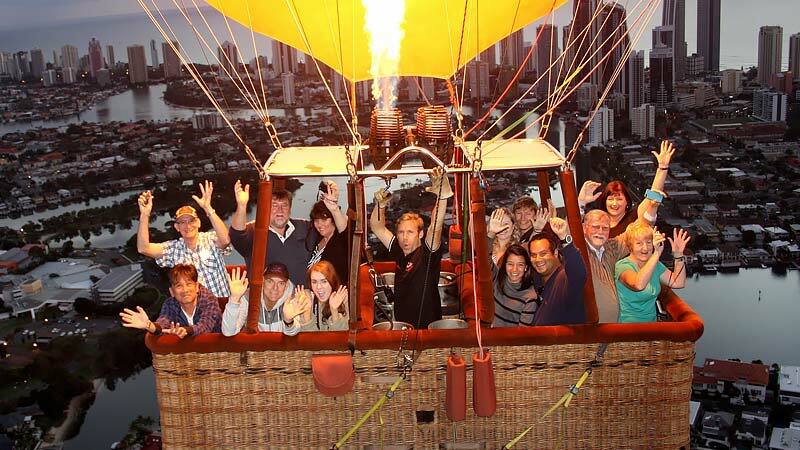 Pleasant hot air balloon flight, nice view from Gold Coast. Delicious breakfast at Mercure hotel. Wasnt happy when we joined the bus that my partner had to sit at the front and I was seated down the rear.. Balloon ride was great .. bugs in the paddock upon landing were a bit rich though. This adventure was on my husbands bucket list & our family gave us vouchers for birthdays, Mother's day & Father's day for 2 years. 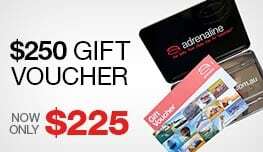 It was great that Adrenaline had 2 years to use the vouchers. The BallonsAloft experience was fantastic. The staff were very friendly and safety was their priority. What an amazing experience. Bill and our pilot Bob were fantastic! The ground staff were amazing and the whole experience was so wonderful for my first time on a hot air balloon. This is by far the best sunrise I have ever experienced! We absolutely loved the staff- very humorous and knew what they were doing! Beautiful views of the Goldie and very relaxing!